yTravel partnered with Hotel Indigo through ShopShare Network. All opinions are the writer’s own. Downtown Los Angeles is one of those neighborhoods every local Angeleno is talking about right now. Since the Metro Expo line opened last year, I can easily get from my home in Santa Monica to this artsy neighborhood in just one hour. 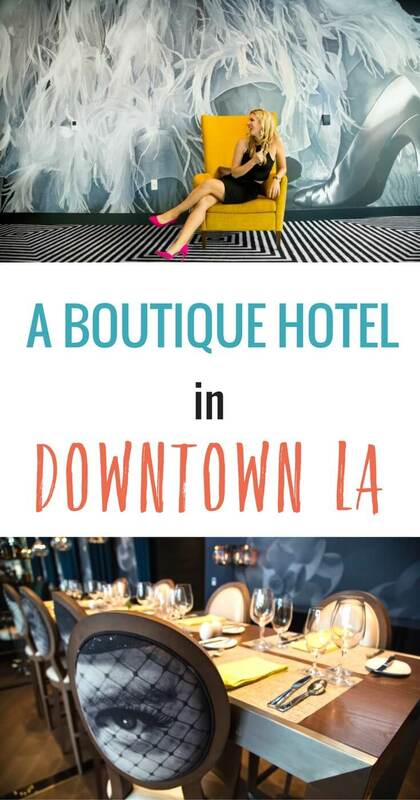 Craving a local escape, I recently checked into Hotel Indigo LA Downtown, which is just a 10-minute walk from the 7th Street Station. 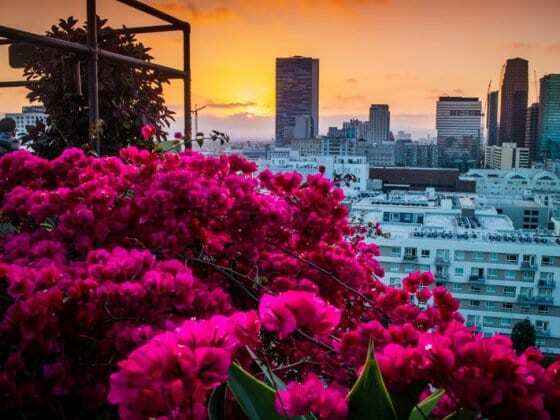 If you’re looking for an authentic local experience in the heart of Los Angeles, this downtown boutique hotel makes the perfect place to start your adventure. 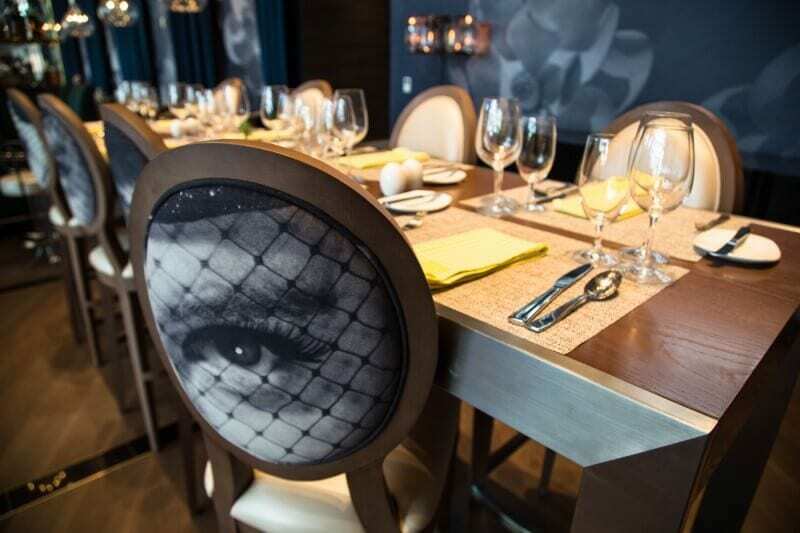 With 350 guest rooms and suites, the 18-story hotel pulls inspiration from the City’s past to create a chic, upscale design that caught my eye the minute I walked through the door. I’ve stayed in a couple different Hotel Indigo properties before, and I always love the original, artistic design. 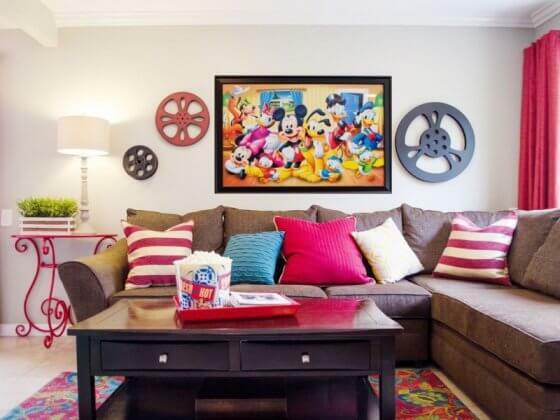 No two Indigos are alike, and this property in Downtown Los Angeles definitely had its own personality. Entering the lobby, I was greeted by a floor to ceiling installation of bowler hats stationed above vibrant flower-patterned carpeting that references Fiesta de Las Flores, a Los Angeles cultural celebration that dates back to 1894. Nods to LA history and culture carry throughout the hotel, continuing from the lobby and upstairs to 18 Social, a penthouse cocktail lounge that evokes the Golden Age of Hollywood. One important note: this lounge is only open Wednesday through Sunday. If you miss out by staying on a Tuesday night, as I did, the downstairs bar at Metropole Bar + Kitchen is just as classy. Plus, happy hour from 4:30 – 6:30 p.m. has a variety of small bites and $5 wines. 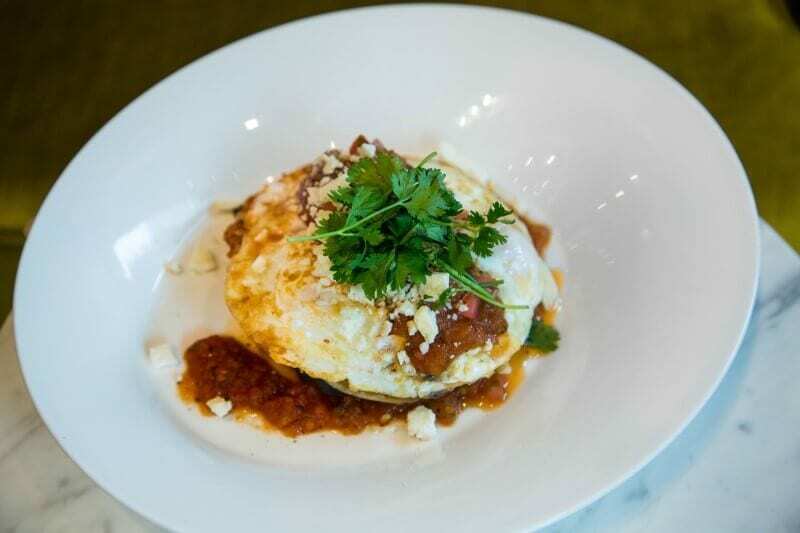 The restaurant also has a fantastic breakfast; the huevos rancheros was definitely on par with authentic Mexican fare from traditional restaurants around LA. Beyond cocktail lounges, this boutique hotel has plenty of other common spaces to either relax or get some work done, especially on the third and fourth floors. I spent the better part of the afternoon reclining on one of the poolside lounge chairs with an expansive view of the city. When I initially entered the hotel off the chaos of Figueroa and 9th Streets, I never would have expected to find such a tranquil oasis. The hotel’s central location puts you right in the center of the action, so having quiet time is important. The pool turned out to be the perfect place to not only recharge but also bring out the laptop: the free Wi-Fi works throughout the hotel. 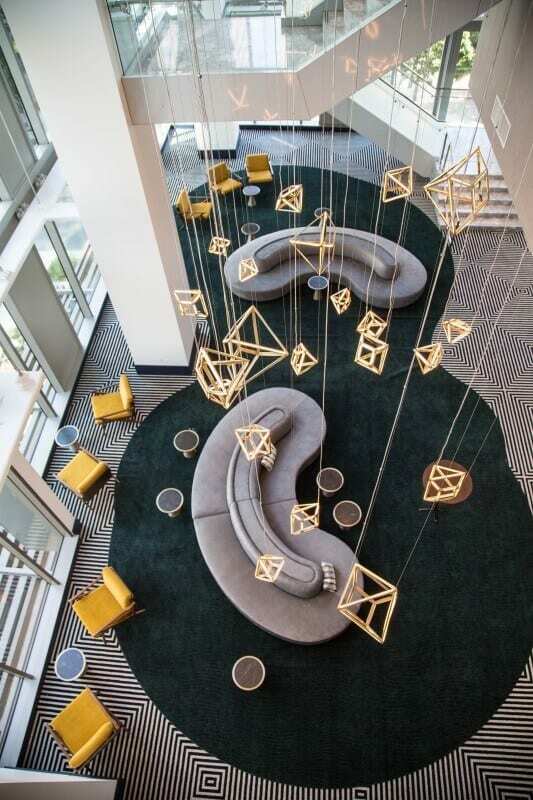 After I had enough sun, I descended a spiraling marble staircase to the light-filled common space on the third floor to wrap up work on its plush, modern couches. 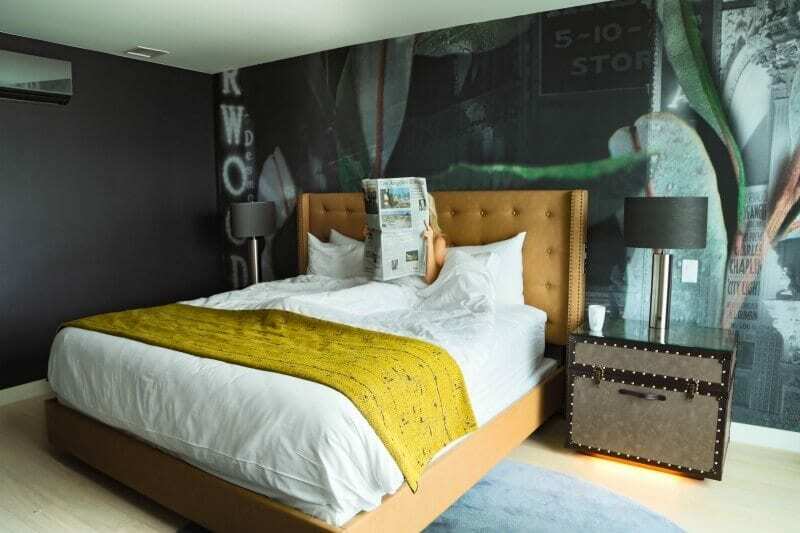 After exploring the hotel, coming back to my stylish, inviting guestroom felt like walking through the door of the city apartment I’ve always dreamed of having. The executive king room is modern, comfortable, and light-filled with high ceilings, floor-to-ceiling windows, and plush bedding. 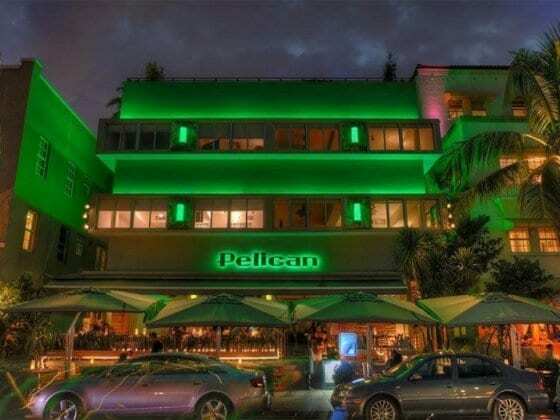 It continued the hotel’s theme of artistic design elements with an oversized mural and a Klieg light: a feature of many old school Hollywood movie sets. 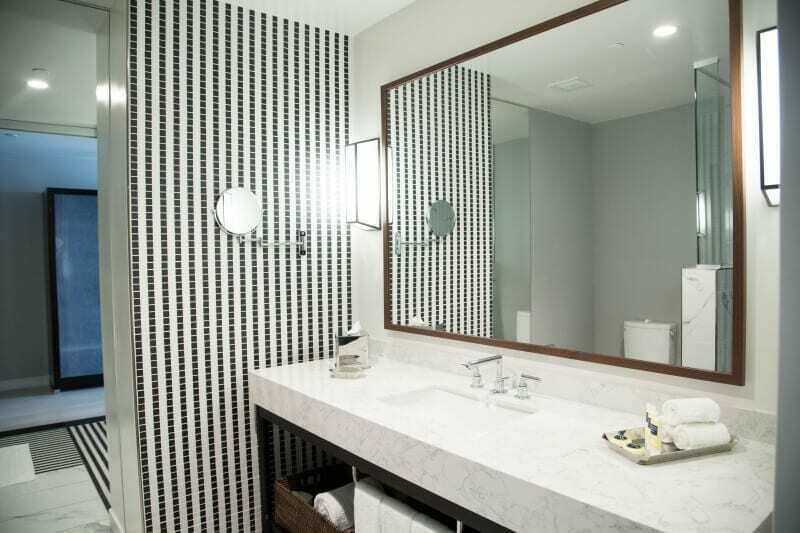 In the spa-inspired bathroom, the rainfall shower and Aveda amenities were invigorating and luxurious. Though there’s much to explore outside the hotel, I wasn’t quick to turn off the flat screen TV and leave my chaise lounge, but I knew I had a lot of sites to see. When I was younger, my family would come to town to shop for deals on clothes along Santee Alley, then leave. In the last few years, though, Downtown LA has become a destination itself, which locals like me have come to appreciate. It seems every month I hear about a new experimental restaurant concept, or a new café like Don Francisco’s Coffee Casa Cubana inside the Spring Arcade Building. 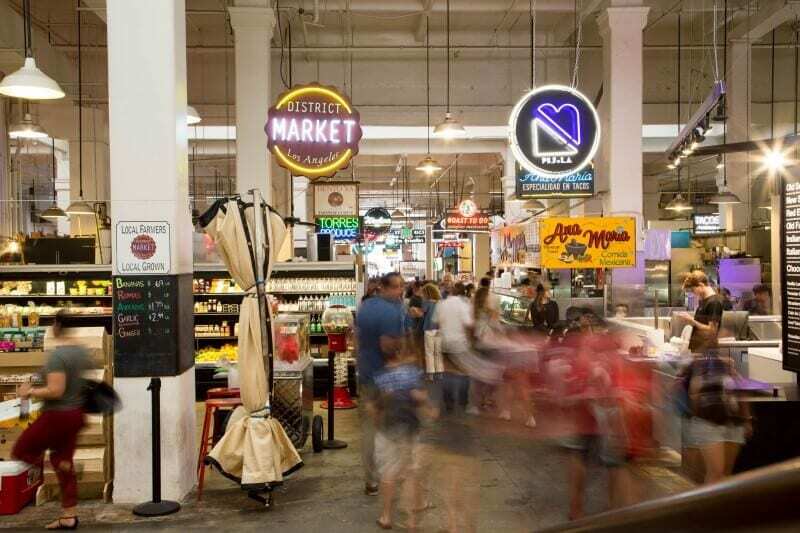 The Arts District, a 15-minute drive from the hotel, also can’t be missed, but my favorite spot is the Grand Central Market. Inside the market vendors serve up international cuisine from Thai curry to pupusas, a traditional dish from El Salvador. Within two blocks of the Indigo Hotel, Staples Center hosts popular concerts and sporting events, which draw crowds to the adjacent LA Live complex, making it a lively place to hang out any night of the week whether or not you see a show. Within the entertainment complex, the Grammy Museum tells the history of the music industry, but it doesn’t outweigh the option to just pop into one of several restaurants in the complex. 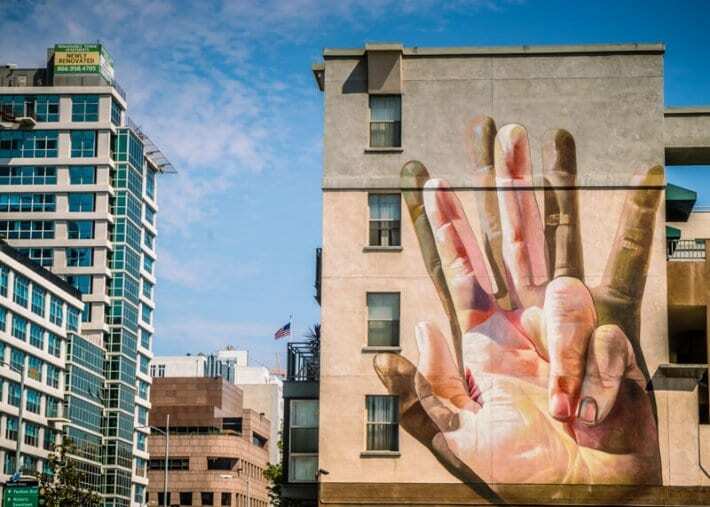 The team members at Hotel Indigo are locals themselves, so they were very helpful guiding me through the best things to see and do in the Downtown Los Angeles neighborhood. 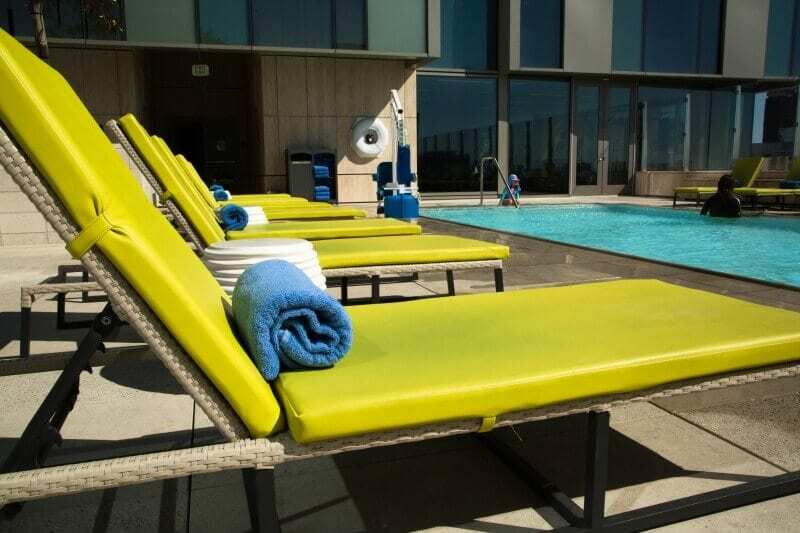 Just one night certainly wasn’t enough to unlock all of the best experiences downtown, so I look forward to returning to Hotel Indigo if only because that sky-high pool is the best place to close out summer. Travel writer and photographer Megan Snedden shares stories of culture and kindness from around the world. Her work has appeared in such publications as BBC, National Geographic Traveler, and Live Happy Magazine. Connect with her on social media @kind_effect. We have stayed at the Indigo Hotel outside of Chicago and had a similarly nice experience. The hotel brand definitely has a more “boutiquey” feel making it feel a little special, yet still approachable and friendly. Nice to hear you have experienced a Hotel Indigo property Shanna. Ha, I always thought ’boutique’ hotels were small. With well over 300 rooms and 18 floors, I wouldn’t have considered this hotel for a boutique experience. Good to know. I love the Intercontinental Group of Hotels and enjoyed the Indigo hotel properties we’ve stayed at. Wow! this looks so amazing and comfortable. Even though it doesn’t seems like a boutique hotel because of it’s lavishness. Worth the visit. Thanks for sharing.